Ralph McQuarrie Tribute poster by Lawrence Noble. 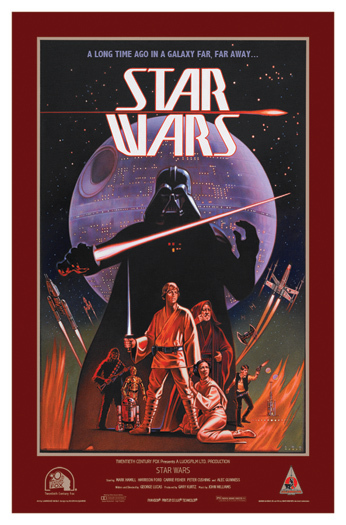 This poster was crerated to pay tribut to Ralph's Star Wars concept one sheet that he never finished. Lawrence Noble created this 'One Sheet' for Celebration Japan in 2008. The postere measures 27x41, the same as the original movie posters did in 1977.